The Activision Blizzard 2009 Fourth Quarter Earnings Conference Call held yesterday revealed to fans all around the world the exciting news that Starcraft II Closed Beta will launch in global scale this month of February and their plans for Blizzard games in 2010. Mike Morhaime also revealed their plans to launch Starcraft II: Wings of Liberty for sale on mid-2010, this Summer. I told you Mike Morhaime would say the sweet words on February 10 during this conference, and he didn’t disappoint us. Mike Morhaime: I’d like to begin by recapping the successful year that we had at Blizzard, with some discussion about our performance in 2009, as well as our fourth quarter’s result. I will also touch on our situation in China and outline the exciting plans that we have for 2010. Overall, we are very pleased with our performance over the past year. Our non-GAPP net revenue for the year 2009 was about $ 1.2 Billion dollars with an operating margin of more than 46%. To the fourth quarter of 2009, our non-GAPP net revenue was $329 million dollars with an operating margin of 49%. The fact that we have been able to maintain revenue and operating margin at this level is remarkable giving the current state of the economy, and how it has affected the industry, and the fact that we didn’t ship a new game in 2009. The stability of our World of Warcraft business has obviously played a big role and we currently have an 11.5 million World of Warcraft subscribers. That subscribership is on par with the last time we announced subscriber figures. First, we acknowledge the tremendous entertainment value that World of Warcraft offers. We believe our players recognize the huge value they get from World of Warcraft. Especially when they compare our subscription against the rising cost of Cable television and the finite amount of entertainment they could get from other options such as movies or concert tickets. Equally important is the commitment of our developer team to continue enhancing the game with fresh new content for players to enjoy. We also benefited from successful outreach marketing efforts in the fourth quarter with the new TV commercial featuring Mr. T driving record file and high visibility at online and retail. And last but not least, we introduced an important added bonus services in the past year which we believe has contributed towards player retention. At this point I’d like to provide an update in the current situation with respect to World of Warcraft in China. I want to emphasize that NetEase is operating World of Warcraft normally in China right now as they have been since the launch in September 19, 2009. I mentioned on the last call, that World of Warcraft in China hit an all time peak concurrency after the relaunch. We are still gaining strength in the region with the game as popular as ever. In celebration of the upcoming Chinese New Year holidays NetEase is running a spring festival giveback campaign. As part of this campagin, NetEase has temporarily suspended new account creation for one week and is rewarding our existing players with a 21 hours of free-game time. Three hours per day. We continue to work hard with our local partner to bring new content to our chinese players. Wrath of the Lich King is currently under review by the relevant chinese government authorities, and NetEase has been cooperating with their very requests so that we can launch Wrath of the Lich King as soon as possible. Meanwhile, NetEase has resubmited the Burning Crusade to the GAPP for their approval. Now I’ll like to discuss the plans we have for 2010, which promises to be the most exciting year in Blizzard’s history. We have two huge product releases planned: Starcraft II: Wings of Liberty and the Cataclysm expansion to World of Warcraft. This will be the first time in twelve years that Blizzard has slated to ship two major products in the same calendar year. And on top of that, we will also be releasing the revamp of the Battle.net service, which will be the platform for all future Blizzard games. I do have an exciting news regarding Starcraft II. We are slated to be in close beta testing later this month. The beta test will be conducted in a global scale, including thousands of testers in North America, Europe, Korea, Taiwan, Australia, and New Zealand. We expect a tremendous response from our players, and we are eager to begin this phase of development as we enter the final stretch before release. Aside from gathering feedback from our players, which is a key step of the developing cycle, the beta test will help generate new excitement for Starcraft II, building on a momentum from 2009, when Starcraft II won Game of the Show in Europe from GamesCon. Starcraft II has also shown up on several Most Anticipated Lists for 2010, including publications like the Wall Street Journal, PCGamer and Europe Gamer. With Starcraft II continuing to receive wide acclaim and recognition in publications and shows around the world, we are very optimistic about our prospect for the game. We are still tracking toward our goal of a mid-2010 release. In addition to helping our team balancing Starcraft II, our upcoming Beta Test is also important to our development of Battle.net, as we are building Battle.net to be the home of all Blizzard games going forward, this phase of testing will be key for preparing the service for launch. We are designing Battle.net to be the primary destination for online gaming. When the servers launch, Starcraft II will offer several advanced communication features including the ability for players to chat between Starcraft II and World of Warcraft, or between World of Warcraft realms. Future games like Diablo III will plug right into that massive communications network. This is significant because the friends network that players have already built with World of Warcraft and add to in Starcraft II will carry forward for all Blizzard games into the future. The new iteration of Battle.net will help us effectively grow the community of players as each new game release will build on the momentum created by previous games. Keeping players connected to their friends at all times, no matter what games they are playing, will make the online experience more enjoyable extending the life of our games. Separately, we have news about World of Warcraft: Cataclysm, which we announced at this past year BlizzCon. Today I would like to delve into one of the aspects of the expansion that makes it especially intriguing as it grows driver momentum for the business. Like previous expansions, Cataclysm will introduce some great content such as new races, new dungeons, and new areas for players to explore. For a feature that will make this particular expansion stand out is that we are completely overhauling much of the existing content in the game, and bringing it up to our constantly rising design starndards. Let me just take a moment to explain why this is important. Over the past five years since World of Warcraft initially launched, our development team has become much more skilled at creating compelling new content for the game. The issue is that much of the low level content in World of Warcraft today, remains the same as it was when we launched in 2004. New players to the game, do not in large part, experience the game’s best content and design until they reach the end-game. Our research shows that trial players who play World of Warcraft past level 10 are much more likely to stick with the game for a long time. Currently only about 30% of our trial players make it past this threshold. So anything we can do to improve the new players’ experience is a huge opportunity for us. With Cataclysm, we will be overhauling the early gaming experience for players, bring all the content in World of Warcraft to our current design standards and ensuring that even new players to the game will experience the best work of our development team. This will also provide additional replayability for our veteran players as well. We hope that this effort will capture most players and drive community growth. Development on Cataclysm is proceeding smoothly and we are making great progress to a release in the back half of 2010. In parallel with the development of Cataclysm, we are continuing to create additional value added services for our players. One of the new services we are looking forward to introducing soon is the ability for players to access the in-game Auction House from outside of the game. 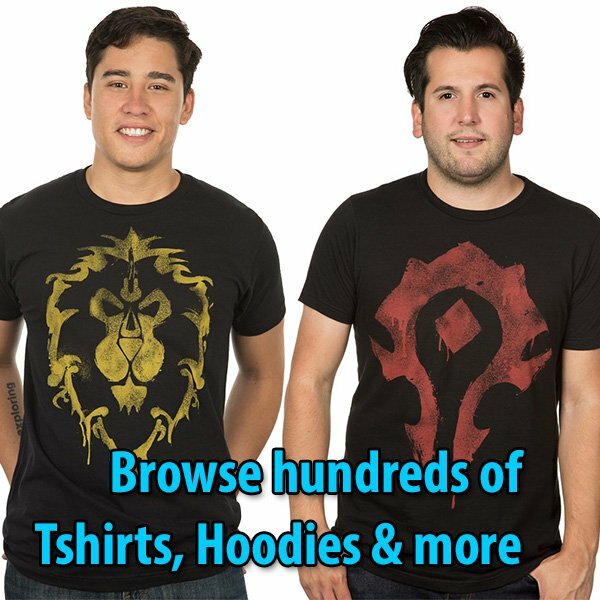 Currently in World of Warcraft, players can use an in-game eBay-like service to buy virtual items for in-game currency. This is the Auction House, and its been part of World of Warcraft since launch. Soon, we will be introducing a mechanism for players to use the Auction House remotely using the web or mobile devices like the iPhone. Some aspects of this service will be free to use. Some will be premium. We haven’t finalized pricing just yet, so we will be discussing those details at a later date. We are also expanding on the World of Warcraft Pet Store that we introduced last quarter. Just this morning we announced two new virtual pets the Wind Rider Cub and the Gryphon Hatchling, which players will be able to purchase in the store in the coming weeks. What is unique about these new pets is that players will also receive plush stuffed animal version of their virtual pet. As I close out the Blizzard portion of the call, I want to summarize the huge year we have ahead of us. Not only are we going to ship two major products: Starcraft II and Cataclysm; but we will be launching Battle.net to be the home of all Blizzard games going forward. This platform is the cornerstone for the future of Blizzard Entertainment and we are very excited to take the first steps toward the future with the beta test of Starcraft II and Battle.net. With Starcraft II and Cataclysm plans for this year and Diablo III around the corner our product outline has never looked stronger. Thanks.